Despite the martial attire, lots of laughter was reported. During the debrief, the daughter told of the final challenge. 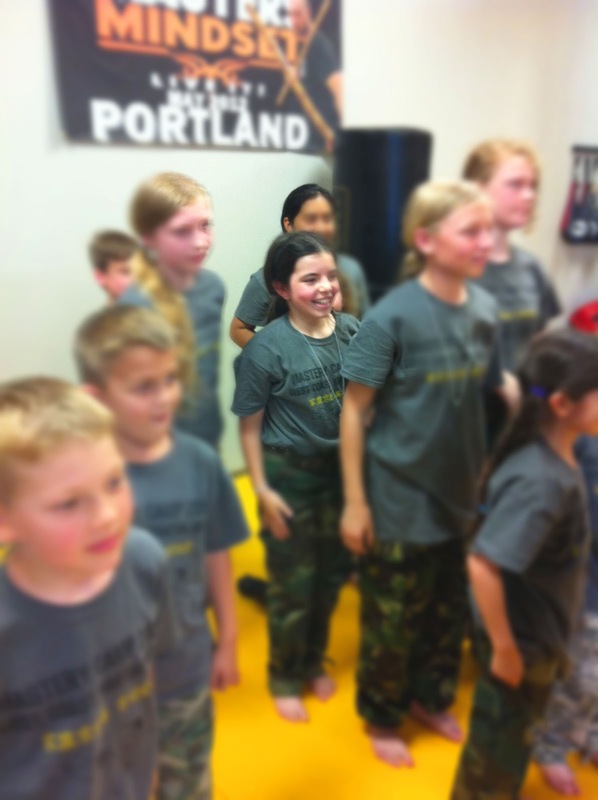 She arrived at the dojo at 5:00 pm, took part in a demonstration that involved plenty of calisthenics and fighting with sticks, and then said farewell to the parents. The recruits then ran to a swimming pool, changed into non-military-issue swimwear, and played in the pool. No enemy combatants were located on the water slide. They then did some night marching to a parents' backyard for roasting of combat marshmallows, before returning to the dojo around 1:00 am for a bit of shut eye. The daughter recruit said it was just about the best time ever. I made a video of the demonstration.